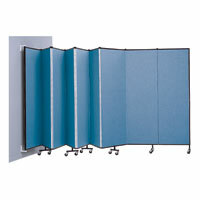 Our Privacy Panels and Room Dividers not only work to give you privacy, they also double as Whiteboard Surfaces, Tackboard Display Panels, and Sound Proof Classroom Dividers. Productivity will go up when everyone is focused by less outside stimuli. 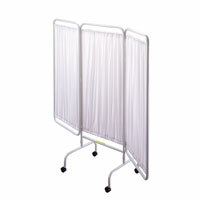 Wall Mounted Room Dividers and Rolling Privacy Screens both can be moved back to open up the room for socializing and group collaboration. 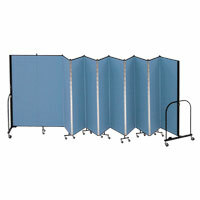 Room Partitions are often used in place of traditional Study Carrels for quick testing and voting booths. We even offer a Projection Surface Rolling Panel for dividing rooms and giving great Audio Visual Presentation assistance! Enjoy the peace and quiet that Privacy Screens and Panels can offer you!